black & white illustrations 326 Colloquial English provides a step-by-step course in English as it is written and spoken today. Combining a user-friendly approach with a thorough treatment of the language, it equips learners with the essential skills needed to communicate confidently and effectively in English in a broad range of situations. 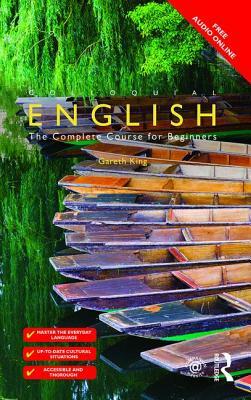 Key features include: * progressive coverage of speaking, listening, reading and writing skills * structured, jargon-free explanations of grammar * an extensive range of focused and stimulating exercises * realistic and entertaining dialogues covering a broad variety of scenarios * useful explanations of idioms throughout the text * additional resources available at the back of the book, including a full answer key and lists of irregular verbs. This second edition has been extensively revised and updated throughout, and includes up-to-date cultural information, an improved reference grammar and revised audio recordings. Audio material to accompany the course is available to download free in MP3 format from www.routledge.com/cw/colloquials.